Going to a Arizona Pool is growing specifically within the elderly population sectors of Arizona, who have suffered some type of muscle or bone damage. Please use the contact information provided at each and every pool profile to check if they are offering aquagym lessons, because is just not so common to determine an Aquagym in Arizona. Please have a look at the pools swimmers like you've got reported near Arizona. Please, report any Arizona Pool not listed here. Do you know of any Pools in Spain that need to be listed here? Contact us!. 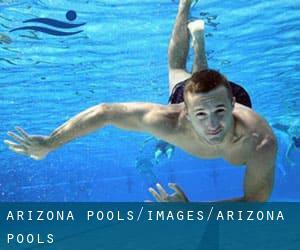 If you are looking for Arizona Pools, it's great to know a number of of them belong to gyms or sports centers which also give lessons. Get informed by calling the premises. There are often discounts out there to senior citizens and tiny children for independent swim. Find out by contacting your nearest pool among these Arizona Pools. If you're tired of having eyes and irritated skin, getting a saltwater pool in Arizona could be the solution. You should know that the level of salt from these pools is effectively beneath the level of salt from sea water, specifically they are talking about a tenth or less. Enjoy the best indoor pools in Arizona and don't worry about the weather. These facilities are open all seasons and you can enjoy a swim at the same temperature every day of the year. One from the advantages of outdoor swimming in Arizona is the possibility to sunbathe during the summer season. Taking it with added care, sunbathing is healthy given that introduces Vitamin D into the body, so the most effective choice seems to be switching between indoor and outdoor pools depending on the season. There are numerous alternative treatments to chlorination, with terrific advantages that ensure far better water excellent in the pool. One possibility is the mineralizer, which purifies water naturally and substantially decreases the chemical substances utilised and maintenance time. Try Chlorine Totally free pools in Arizona. There are a number of causes why you might want to choose a heated swimming pool in Arizona. The most vital a single relies on the importance of keeping the body temperature stable. When the water is too cold, your body will try to warm it up and you will lose strength to swim correctly. Holding an estimated population of 1.445.632, Phoenix is among the most important cities in Arizona. Check all the Swimming Pool in Phoenix and its surrounding area. Whereas Mesa is one of the six most populous cities in Arizona with nearly 439.041 residents, you shouldn't miss that one if you're going to Arizona. It's hard to visit Arizona with no dropping by Glendale (with 226.721 residents). Presently Swimia is showing you all the Swimming Pool in Glendale and the closest pools situated in its vicinity. Without a shadow of a doubt, swimming in Tucson may be the best solution to unwind right after function. 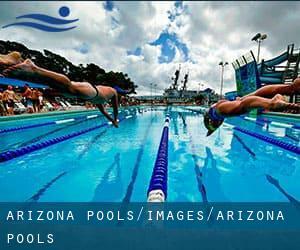 Take a couple of minutes to browse Swimia's catalog to find a Pool in Tucson. Swimming is a fantastic idea to keep your body active during your visit to Scottsdale (Arizona), or even if you are a local. Swimia helps you to discover your closest Swimming Pool in Scottsdale. Let us let you know a secret to switch off though you are in Chandler: just pick out a Swimming Pool in Chandler and plunge into the water! There's no more effective process. Updated on 2019 160 Portal Lane , Sedona , AZ , USA (Postal Code: 86336). This sports center offers 20 yards x 40 feet, Outdoors. For this Swimming Pool, only phone number is number here. Updated on 2019 1563 E 36th St. , Tucson , AZ , USA (Postal Code: 85713). Among all the activities provided by the center, should you be interested in swimming you will take pleasure in 25 yards, 8 lanes, Outdoors. Just in case you need to contact this Swimming Pool just before dropping by, we only know the phone number. Updated on 2019 1830 E. del Rio , Tempe , AZ , USA (Postal Code: 85282). This sports center offers Olympic size x 25 yards, 8 x 16 lanes, Outdoors. Updated on 2019 7171 N. Scottsdale Rd. , Scottsdale , AZ , USA (Postal Code: 85253). Swimmers like you have reported 48 yards x 24 yards, Outdoors. Also, you will find 54 feet x 24 feet, Outdoors. Just in case you want to contact this Swimming Pool just before dropping by, we only know the phone number. Updated on 2019 James D. Kriegh Park , 23 West Calle Concordia , Oro Valley , AZ , USA (Postal Code: 85704). This sports center gives Olympic size x 25 yards, Outdoors. For this Swimming Pool, only phone number is number here. Updated on 2019 5402 E. Lincoln Dr. , Scottsdale , AZ , USA (Postal Code: 85253). Few days ago a normal user of this center told us they offer Registered guests Free. Furthermore, they keep in good conditions Registered guests $25.00. The charge is waived if spa services are purchased. For this Swimming Pool, only phone number is number here. Updated on 2019 Building 21-A , Franklin Avenue at San Francisco St. , Flagstaff , AZ , USA (Postal Code: 86011). Among all the activities provided by the center, should you be interested in swimming you will take pleasure in Olympic size x 25 meters, 8 lanes, 3 feet - 13 feet depth, Indoors. If you need to contact this Swimming Pool, email address and phone number are both number. Updated on 2019 2200 East Elm Street , Tucson , AZ , USA (Postal Code: 85719). This sports center offers 20 yards x 40 feet (no lane lines), Outdoors. For this Swimming Pool, only phone number is number here. Updated on 2019 425 S. Power Rd. , Mesa , AZ , USA (Postal Code: 85206). This sports center gives 20 yards, Outdoors. For this Swimming Pool, only phone number is number here. Updated on 2019 245 East Ina Road , Tucson , AZ , USA (Postal Code: 85704). This sports center delivers 20 yards, 5 lanes, Outdoors. Contact information for this Swimming Pool such as phone number and e-mail address are number. Updated on 2019 34631 N Tom Darlington Dr. , Carefree , AZ , USA (Postal Code: 85377). Among all the activities offered by the center, when you are considering swimming you might take pleasure in 22 yards, Outdoors. Just in case you would like to make contact with this Pool prior to dropping by, we only know the phone number. Updated on 2019 7401 N. Scottsdale Rd. , Scottsdale , AZ , USA (Postal Code: 85253). Swimmers like you reported 54.5 feet, Outdoors. Unfortunately we do not have the e-mail address of this Swimming Pool, but we can give you the phone number. Updated on 2019 7575 E. Princess Dr. , Scottsdale , AZ , USA (Postal Code: 85255). Swimmers like you reported 25 yards with 2 lanes marked off for lap swimming, Outdoors. Phone number and e-mail address are number for this Swimming Pool. Updated on 2019 300 Wigwam Boulevard , Litchfield Park , AZ , USA (Postal Code: 85340). Few days ago a frequent user of this center told us they offer 100 feet, Outdoors. Furthermore, they keep in good conditions 20 yards, Outdoors. For this Pool, only phone number is number here.